Suitable from birth and featuring a super-slim chassis, the Easy Twin Double Stroller from My Child is a mere 65cm wide, making it easy to fit through narrow doorways. 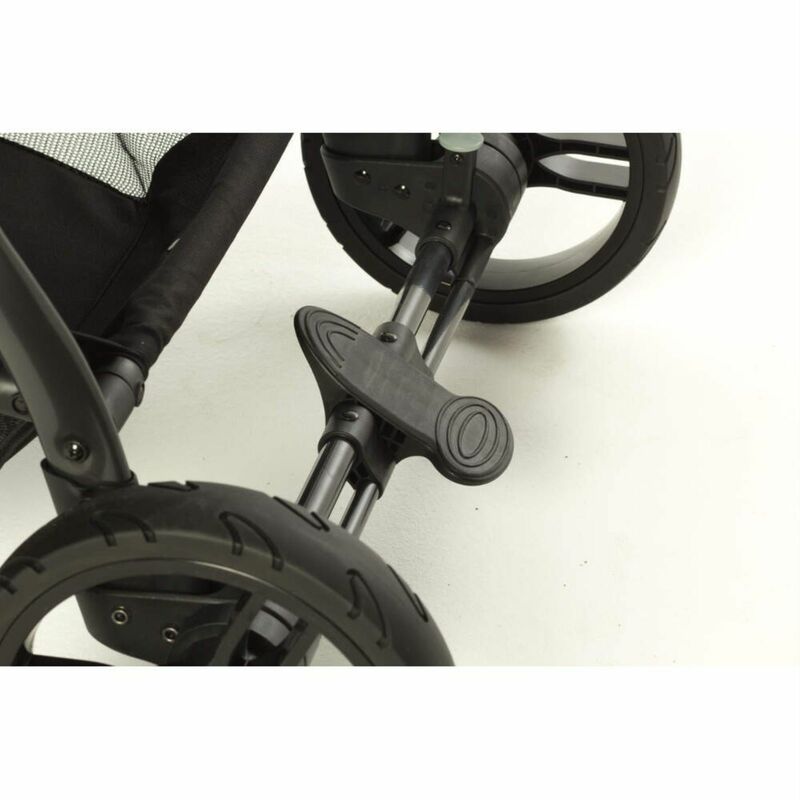 Through vast amounts of previous experience, MyChild know that getting a puncture when out and about with your pushchair can be an absolute nightmare! This is made considerably worse when the pushchair in question is a double / twin. For this reason, the Easy Twin has been designed with puncture proof tyres to prevent this situation from occurring. As a practical and stylish solution when travelling with two children, the Easy Twin offers various seating combinations to suit every situation. The Double pushchair can take side-by-side carrycots (each sold separately) and also up to two car seats (1 included) too. Other features on offer include a height adjustable handlebar, UPF50+ hoods, excellent ventilation, multi-position seat recline, 4 wheel suspension and an easy to operate compact fold. A raincover is also included for your parental convenience. Specifically designed for use with the Easy Twin Double Stroller, the Easy Twin Car Seat is a Group 0+ newborn infant carrier which can be secured to the pushchair in the lower position (lower position adapters included) in order to transform it into a fantastic travel system. The car seat features a comfortable and removable head hugger for newborns or smaller babies, an integrated sun canopy plus a 3 point safety harness and impressive Side Impact Protection.